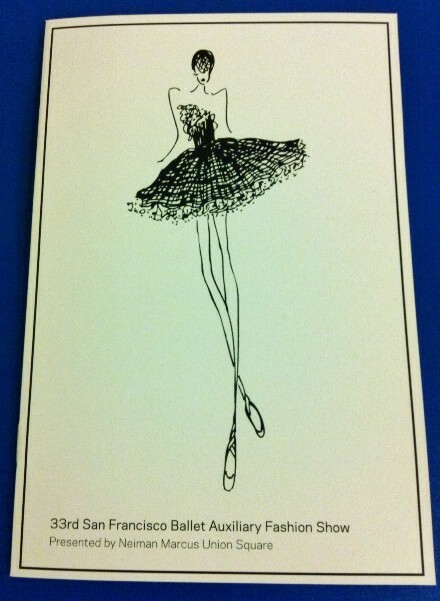 The 2014 SF Ballet 33rd Annual Auxiliary Fashion Show is fast approaching. The invitations were done by Delphine Press and we addressed the envelopes with the SF Ballet guest list, stamped, stuffed, sealed and mailed the envelopes to the mail house. 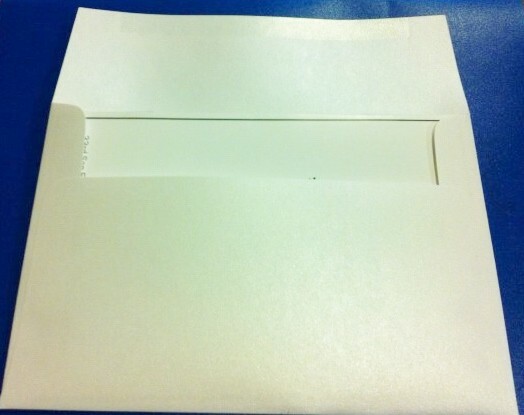 We addressed the San Francisco Ballet 2014 Fashion Show Invitation Envelopes using PE Allegro Font Style. 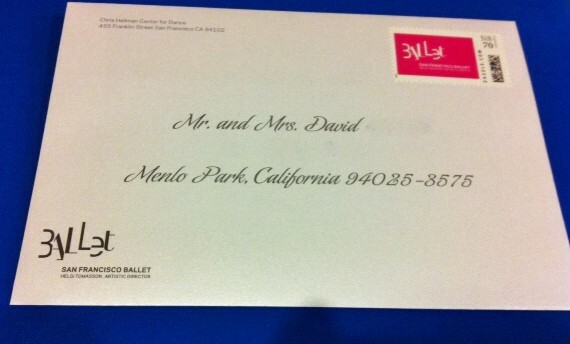 We stamped the invitation envelopes with the custom San Francisco Ballet stamps in hot pink and white from www.zazzle.com. Once the invitation envelopes were addressed, stamped, stuffed with the invitations and response cards then they were sealed and delivered to the mail house ready for delivery. See more on the San Francisco 2014 Fashion Show on their site and also buy tickets or make a donation at SF Ballet. See more of our designs and work for the SF Ballet: SF Ballet Save the Dates, SF Ballet Cinderella, SF Ballet Moving the Compass. See our Calligraphy fonts on our Calligraphy Page and stuffing, sealing and stamping service. 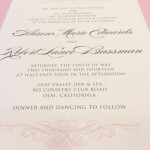 Visit www.hyegraph.com for more stationery and invitation ideas, visit www.hyegraph.com/blog for our latest custom designs!